In the last few months there’s been confirmation of a new Chemical Brothers album in the works, the release of The Prodigy’s latest work and Leftfield coming back from the dead with their first record in 16 years. Meanwhile, Underworld have been touring the 20th anniversary of their seminal Dubnobasswithmyheadman album, joining fellow dance duo Orbital in having the sense to leave their legacy alone. What unites all these groups is that during the nineties they made some of the most ground-breaking, club-shaking, genre-creating music ever. Since then however, it has sadly been a case of diminishing returns. As each comeback album comes out, it inevitably makes you savour their early work all the more, but with few heirs to the five-way throne, I’ve kept hoping one would genuinely mark a return to form. Unfortunately, having a first full listen to The Prodigy’s new one The Day is My Enemy was the last straw. Liam, Kieth, Maxim and Leeroy made a couple of the finest dance music LPs bar none with Music for the Jilted Generation and Fat of the Land. This meant high expectations for a triumphant return with Always Outnumbered, Never Outgunned in 2004, but when it fell flat at least there was THAT live show, full of golden oldies. Four years later they had another crack at it with Invaders Must Die, but admirably trying to avoid too much rave revival meant moving off towards ill-judged dub-step dabbling and walls of angry noise. Regrettably their new tracks beat the same path. The raw anger is still there – perhaps more so than ever – but gone is the inspiration that channeled it into something productive. I put Liam Howlett up there with the finest producers of his generation, but since their heyday and his brilliant house party staple The Dirtchamber Sessions, he appears to have lost his way somewhat. There really is very little to redeem this new album. Songs like Wild Frontier and Medicine have glimmers of greatness, but are washed away by the overwhelming racket of proceedings. It’s bloated bloke-step that makes me wish they’d called it a day quite a while ago, and the fact that their average-at-best albums now outnumber the classics means that I’m now unlikely to shell out £30 to see them on tour. I can only hope that my perennial favourites, The Chemical Brothers, come through with the goods on their eighth album. The problem is, to a lesser extent, they’ve suffered the same fate. While I can find much more to defend on each of their works, it is still the case that every new release makes me appreciate its predecessor that much more. I didn’t think that much of Come With Us when it came out, but once there was Push The Button as a comparison, it was impossible not to don the rose tinted glasses. So it followed that We Are The Night‘s woeful guest appearances made me reappraise collaborations like Galvanise and The Boxer from the previous record. One can only hope that the superb Hanna soundtrack and return to form of Further are precursors to a renaissance that ruins the theory that this blog seems to be positing. Again, with Underworld, they had a purple patch that spanned three albums spread across most of that golden decade for dance music. Crucially though, their extended production peak also coincided with Darren Emerson’s time with the group and since he left soon after 1999’s sublime Beaucoup Fish, it’s been a similar story. Two Months Off seemed like a continuation of their sound, but more recent releases have demonstrated that Rick Smith needs his right hand man back to forge the beezers of old. To be fair to the pair, other than plans for expanding and remastering earlier works, they deserve some credit for pursuing solo project and keeping it to still powerful Underworld live act, since 2007’s Oblivion With Bells. 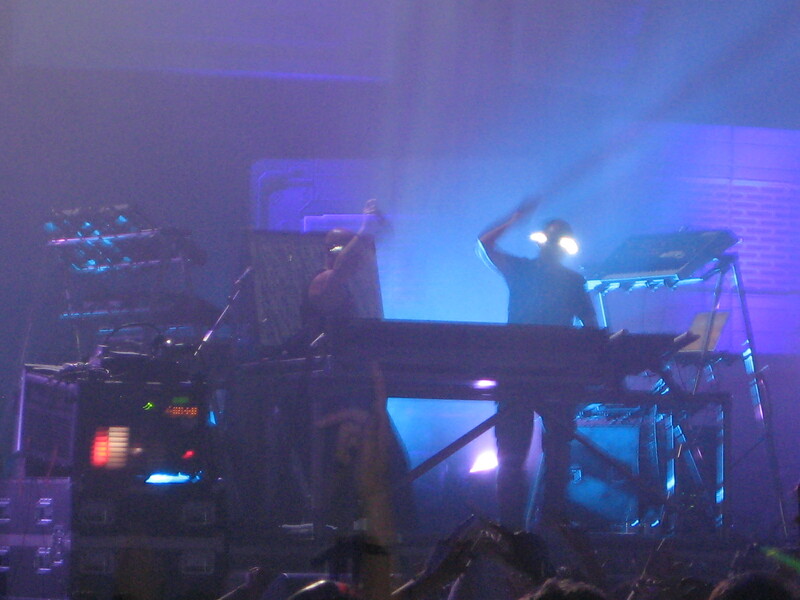 Orbital’s incredible output was divided more evenly over several decent albums in the run up to the millennium, but since the turn of the century they followed the same path, losing track of the zeitgeist and relying on a legendary live show to keep the faith. They tested this to its limits with that breakup in 2004 – which saw me spend money I didn’t have to attend supposedly their last ever show at the Brixton Academy whilst at university in Glasgow – and subsequent reformation in 2009. 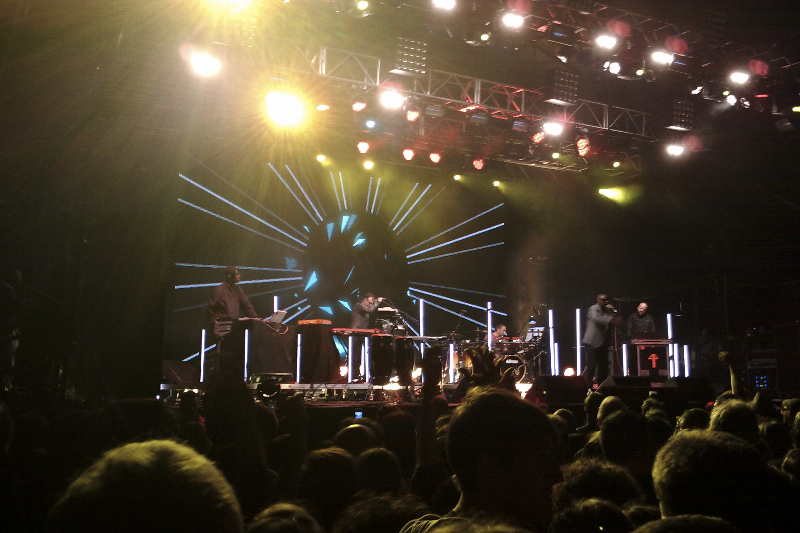 Although, such is my love for them, I still went and saw the brothers Hartnoll at Rockness that year. This made their statement last October that they were “hanging up their iconic torch-glasses and parting ways for the final time” a bit hard to believe, but if they do stay away and let their legacy age like a fine wine, then more power to them. And so to Leftfield. By now you should have worked out the pattern – they’ve certainly got the couple of incredible records released in the nineties – Leftism / Rhythm and Stealth – check. When they broke up in 2002, I wasn’t best pleased, as I hadn’t gotten round to seeing them perform. But when I heard they were to come back in 2010, my excitement was tempered by the fact it was only Neil Barnes – Paul Daley was sticking to his solo stuff – and because of that, there would be no new material. The second point was potentially a blessing in disguise, but it did whiff a bit of the age-old rock band ‘need to pay the rent’ comeback tour. Not that it put me off going to see them dominate an otherwise poorly-organised event called LED Festival in London that summer. The news last week was that Mr Barnes would be putting out a new record, entitled Alternative Light Source, on the 8th of June. It is set to contain collaborations with Tunde Adebimpe of TV On The Radio, Poliça singer Channy Leaneagh and worryingly the Sleaford Mods; responsible for lending their lyrics to the worst of the new Prodigy tracks. Anyway, I feel like I’ve done enough moaning for one blog, so I’ll leave you with the really rather promising sounds of Leftfield’s new single, Universal Everything. One more thing actually – a friend pointed out to me last night that Massive Attack should be on the list. I’ve always considered them a bit more downtempo that those above, but to be fair, they have all the same characteristics to their career. I suppose the same could be said for any number of bands, who will peak early and plateau for what seems like too long. I was also reminded that my growing disappointment could be simply put down to the ‘grumpy old git’ factor. I’ll soon have to face the fact I am just becoming that that chin-stroking muso standing at the back of the gig complaining that its too loud and they were better back in the day. That guy you swear you’ll never become when you’re 18 and pogo-ing around down the front. ← Things Can Only Get Better, Right? I came here looking for dinosaurs and there were none – fail! !